All dealings between the customer and LITES are on these conditions, regardless of all other conditions, practice or custom applied by the customer. Contrary conditions are only valid if written and signed by LITES. The customer is responsible for the consistency and compatibility of the equipment with its purpose. By taking charge of the equipment the client fully accepts the quotation as well as these general and any particular conditions applied to the specific quotation. 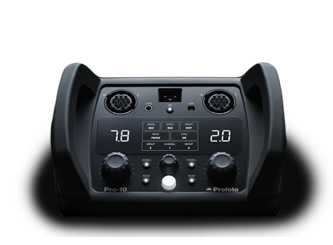 The client also fully agree on having received all the equipment according to the quotation in perfect working conditions All dates quoted are approximate. LITES can’t be liable for eventual delay of delivery or non-delivery regardless of the cause. The equipment may be replaced within a reasonable time or a credit note issued at the pro rata contract rate for the invoice made for this contract. Orders or change of order placed and prepared by LITES outside the opening hours Monday-Friday 8:30 am till 18:00 pm might be accepted if possible and are subject to budgetary augmentation depending on the time and effort sped, with a minimum of 50€. All risk and cost of any transport is at charge of the customer. The charge for the hire of equipment starts on the day the equipment leaves the LITES building, and ends when the equipment is fully and functioning returned to LITES. The equipment has to be returned to LITES in the same condition as it left our premises. Any damage / loss / malfunction must be signalized immediately. The customer must verify the equipment before use. All set up and configuration is the responsibility of the customer. If the client is assisted by a LITES crew during testing or using the equipment the client remains responsible. LITES is not responsible for Advice or recommendations given unless confirmed in writing. The customer must make sure the equipment is handled skilfully according to any operation manual, and operated by properly trained professionals only. The client is always responsible for its appointed personnel. Chauffeurs must have had the necessary drivers license for at least 3 years. The customer must provide correct and complete information regarding the period of use, preparation, transport end standby-time .If any changes should occur this must be signalized immediately. Extensions of the period of use are subject to budgetary adjustments. 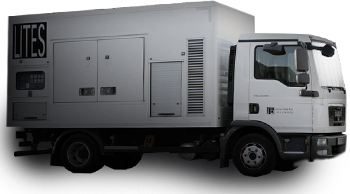 In case of damage of loss of equipment the chargeable rental period will be extended until the equipment is recovered, repaired and ready for hire, or until replaced by an equivalent item ( in case of loss of theft). 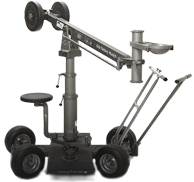 The extra hire for this rental can maximum be the equivalent of ten weeks of hire of this equipment. Cancelling of confirmed rental may be accepted if LITES has made no effort nor financial nor organizational concerning the contract, and with a minimum of 7 working days prior to the foreseen pick up or testing. In any other case the rental will be fully charged. Should the equipment become defective during the rental period ( technical defect with no fault by the client – directly or indirectly) LITES may, if possible within a reasonable limit, repair or replace the broken part provided that this equipment is returned to LITES -with the costs, handling and all risks at charge of the customer. The hire is not adapted due to defective equipment. 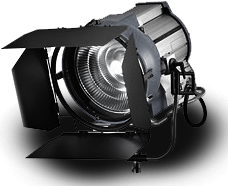 LITES can’t be liable for any loss , damage, expenses, costs, lost production time, reshoot, postproduction cost or other costs of the customer or any other part related to the rental contract however caused by LITES ( mistakes, defective equipment, negligence ..). The customer may not make any changes and not remove any components nor repair or attempt to repair or modify the equipment or its software. If not respected the client can be held liable for any malfunctioning or caused damage – also after the end of the contract. The customer must at all times take proper care of the equipment and make sure it is safe and stored without any risk. The customer only is responsible for any claim in connection with copyrights. Whenever a project has been realized (fully or partly) with equipment from LITES The customer will give credit to LITES and allow LITES to use footage or prints of the project for advertising purposes without further notice. All goods remain property of LITES until fully paid. LITES may transfer warranty given by the manufacturer to the buyer. Cancelling sales of goods is not possible unless confirmed by LITES in written. LITES is not liable as to the quality of the goods. withdraw any credit facilities and commercial gestures previously granted. The payment to LITES can under no circumstances be dependent upon payment from a third party to the customer. Belgian VAT ( 21% ) is due on all invoices. If the customer provides a European VAT number valid for intra-community handlings, the VAT is due in the country of origin according to European VAT legislation art.21§2: reverse charge procedure. If the provided VAT number shows invalid LITES has the right retrospectively to enhance the invoice with 21% without further notice. LITES may give credit entirely at its discretion, and may reject or withdraw credit without specifying any reason. Civil liability of Technicians, assistants and others (including LITES crew at service of the customer)and any damage they might affect on the equipment in any way are responsibility of the client. Not insured: Glass breakage, loss of equipment, theft from / damage to an unattended parked vehicle or theft of an unattended parked vehicle, abnormal, dangerous use, malicious intent, damage to equipment incurred during transport with a customer or provided by LITES, damage caused by unskilful use, damage caused by the equipment to the customer or third parties. A third part liability insurance policy covering all risk arising directly or indirectly out of the use of the equipment. 'all risk' insurance for the equipment when used or transported out of Belgium. covering civil liability of all emplyes , technicians and third parties with respect to the hired equipment. LITES is not liable for any damage or loss of equipment left In custody at LITES nor in vehicles or elsewhere. All disputes must arrive at LITES in writing within 8 days after the invoice. After expiry of this period all disputes are invalid. 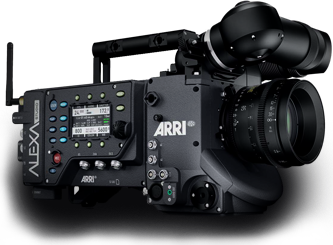 LITES supplies High End digital camera-equipment, know-how & services for Film, Commercials, Broadcast en related shoots. By clicking the "Send to LITES" button, and filling in the dates and the number of shootingdays, we will send you a personalized quote. Thank you for your quote. You will be contacted shortly.